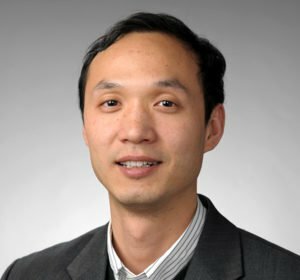 Teng Zhang, Assistant Professor in the Department of Mechanical and Aerospace Engineering receives $500,000 NSF Career Award. The Faculty Early Career Development Program (CAREER) project will support fundamental research on the mechanics of interfaces in soft materials by establishing a novel multiscale and multiphysics modeling and simulation platform. Interfaces between soft and hard materials (soft-hard) or soft and soft (soft-soft) materials are ubiquitous in nature and engineering applications, such as tendon on bone for load-bearing, mucus on tongue for prey capture, growing tissues on scaffolds, and bonding silicon on elastomers for stretchable electronics. A fundamental understanding of mechanics of soft material interfaces will help diagnose failures of biological joints and design underwater adhesive patches, flexible electronics, and strong, tough and lightweight composites, which are urgently needed to advance the national health, prosperity, and welfare. The integrated education plan includes an interactive teaching module for outreach programs, participations in summer research intern programs for high school students, and integration of computational tools in the graduate and undergraduate curriculums at Syracuse University. A “Science and Play” outreach program for K-12 students and the general public will be organized annually to promote STEM education. Furthermore, the students in the Women in Science and Engineering program at Syracuse University will be leveraged to encourage the participation of students from underrepresented populations. A major challenge in the mechanics of interfaces in soft materials is that their mechanical behaviors are intrinsically multiscale and multiphysics interactions, which are determined not only by microstructures at interfaces but also the nonlinear strong coupling of surface and bulk deformations. This challenge will be tackled by seamlessly integrating model techniques at different scales in a unified framework with high parallel computation efficiency. Specific tasks include: (1) to bridge coarse-grained models and finite element methods through lattice models and implement the model in the large-scale atomic/molecular massively parallel simulator (LAMMPS), (2) to link deformed configurations of soft-soft interfaces with their molecular structures and nonlinear deformation and surface stress at macroscale levels and study how multiscale couplings govern forces in wet adhesion with large deformation of soft solids, (3) to investigate how macroscale deformation confinement and energy dissipation, mesoscale cavitation, fibrillation and instabilities and microscale molecular and polymer structures synergistically determine the strength and toughness of soft-hard interfaces and derive microstructures informed interfacial force-separation law for soft adhesives.